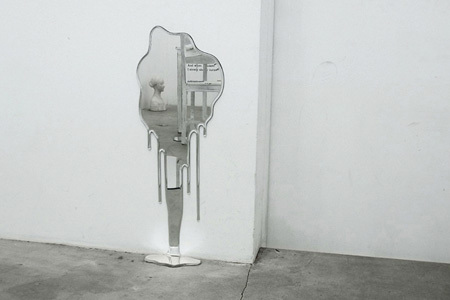 This post showcases unique mirrors and the most creative mirror designs. 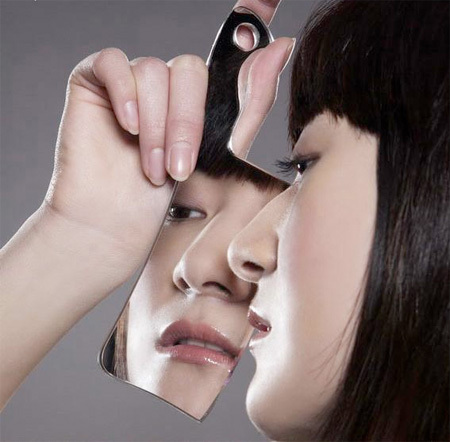 Cleaver mirror will scare the hell out of others and allow you to make sure you are looking your best. 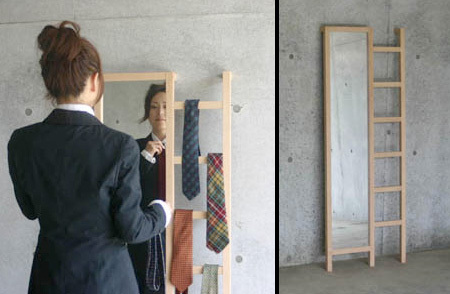 Space saving mirror for small apartments also functions as a ladder. 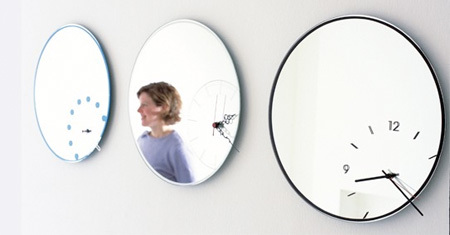 My Time mirror is both practical in function and pleasing on the eye. 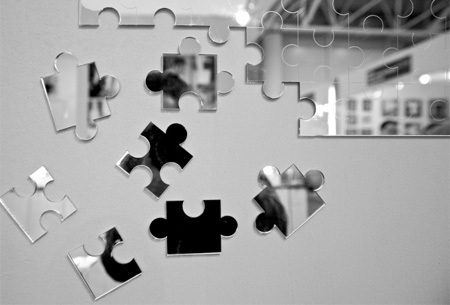 Jigsaw puzzle mirror designed by Italian artist Emiliano Brinci. Portable mirror that you can conveniently carry inside your wallet. 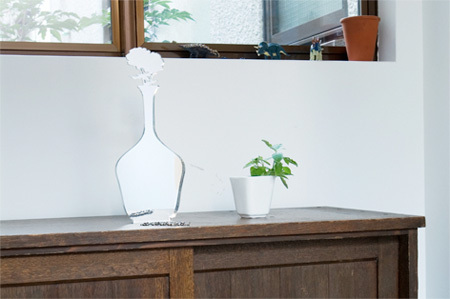 Creative mirror designed by Hideto Hyoudou and Rikako Nagashima. 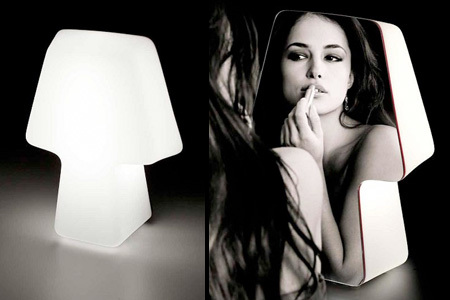 Stylish lamp that also acts as a mirror was designed by Ruggiu. 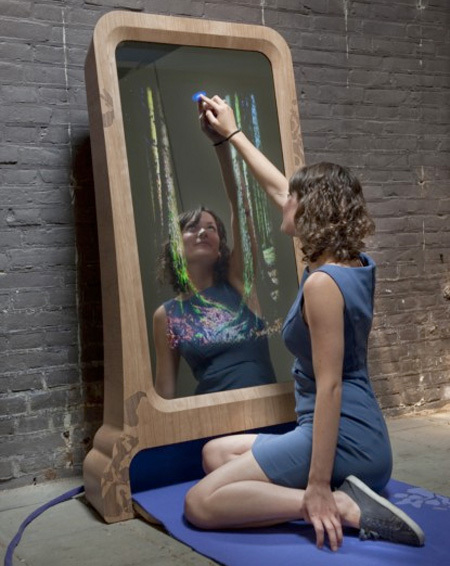 Through the looking glass mirror allows children to listen to fairytales and interact with the story. They become the main character and begin to see themselves surrounded by the elements of the story. 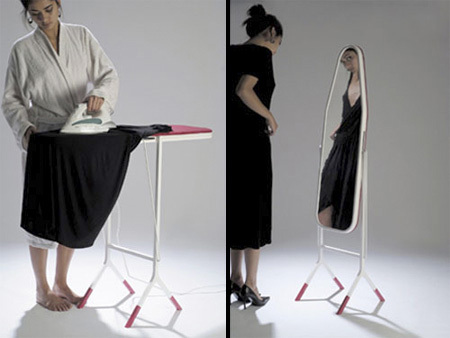 Cool mirror designed by Aïssa Logerot doubles as an ironing board. 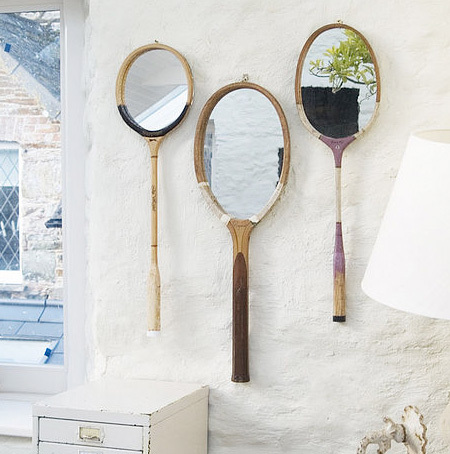 Creative mirrors made by Velvet Ribbon from vintage tennis rackets. 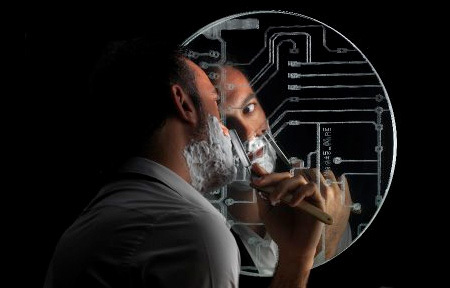 Reflect mirror transforms the shower into a perfect place to shave. No doubt. Water mirror is the best! Shower mirror seems useful. Tennis racket. Well thats pointless. I want the Ironing board Mirror! Save space and dual use. The water mirror gets my vote! SO how much does this Water Mirror cost??? The ironing board mirror is gonna fall over for sure and then the mirror is going to break. @Betty – agreed. 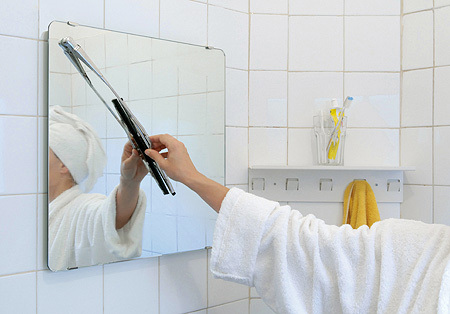 The idea of the shower mirror is great, it may require constant wiping in a warm/hot shower. It mightn’t though. If the mirrored surface is warm enough, warm water vapor won’t condense on it. I;d like to try it tho…when I’m in a hurry I shave in the shower and usually miss a few whiskers because i can’t see them. If it gets spotty i could not care less at that point..it’s more about function. also agree that most interesting is water mirror. Does anyone else make the connection between the credit card mirror and cocaine? I have a feeling they found that idea in Richard Pryor’s diary. Huzzah! Q: Mihirr- SO how much does this Water Mirror cost??? I like the Shower Mirror. If the water in the shower head is used to warm the mirror, then I assume that it won’t fog up? I love the ironing board mirror, what a great space saver! And the water mirror is beautiful. I like the tennis racquets & the jigsaw mirrors too, just as pretty decorative items.